My blog details all the fantastic "pins" I've actually made! Enjoy! I love this idea! You have just about everything you need at home to complete this project. The only supply I had to purchase was cellophane which cost me $4.50. I already had yarn, balloons, and paint! Save cardboard wrapping paper rolls for this awesome decoration. My daughter helped paint the wrapping paper tubes, so it was a fun project for us to do together. 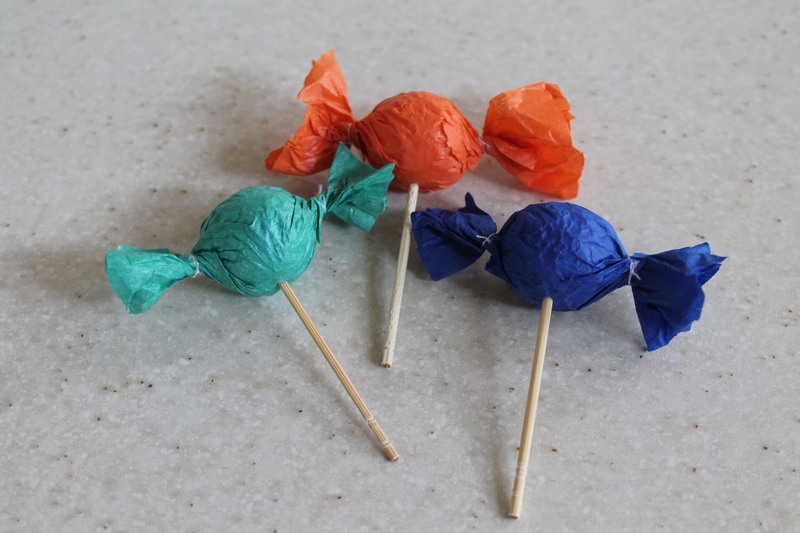 I plan to line my front walkway with these lollipops for Sophie’s Candyland birthday party. I want to make more, but I have to locate more wrapping paper tubes! 1.) Cardboard wrapping paper tubes. 4.) Yarn, string, or ribbon. 1.) 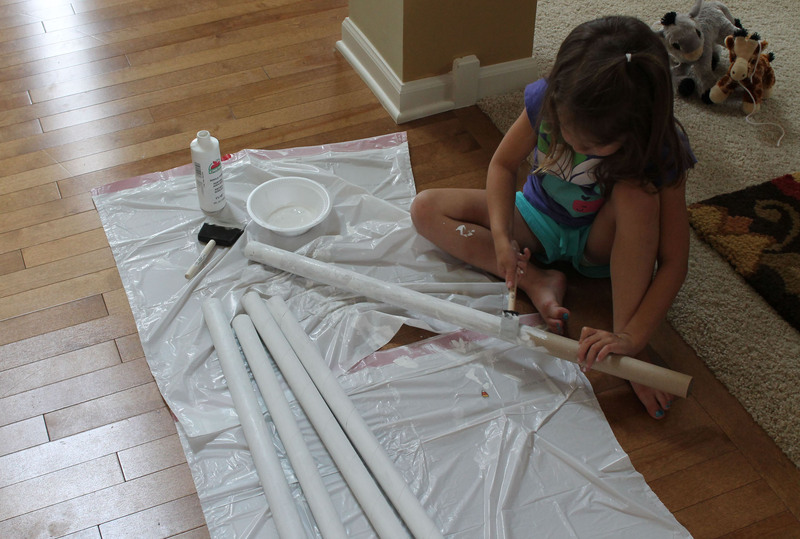 Paint the cardboard wrapping paper tubes with white acrylic paint. Let dry and apply a second coat. 2.) Cut ribbon or yarn to a length 6″ longer than the wrapping paper tube. 3.) Tie one end of the yarn to the balloon where knotted. 4.) Attach the other end of the yarn to the clothespin. 5.) Drop the clothespin down the tube. 6.) 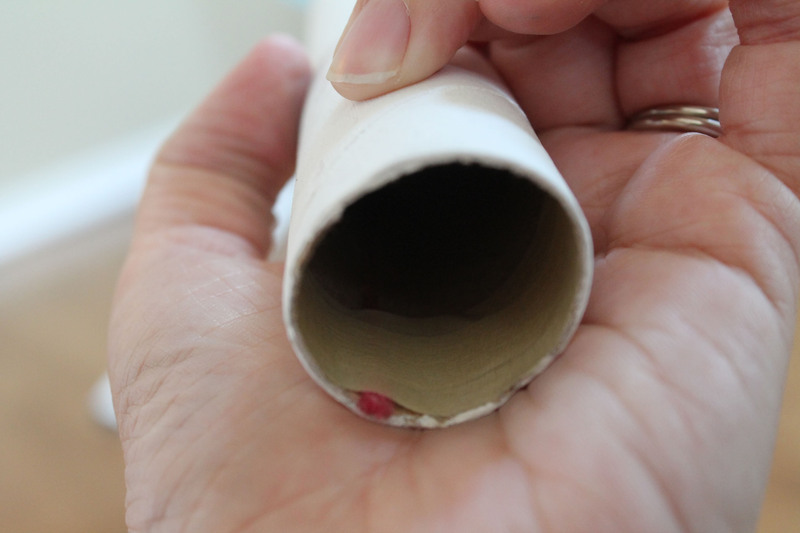 Pull the yarn tight and tape to the inside of the tube. 7.) Cut off excess yarn. 8.) Cut a piece of cellophane 3′ x 4′. 9.) Wrap the cellophane around the balloon. 10.) 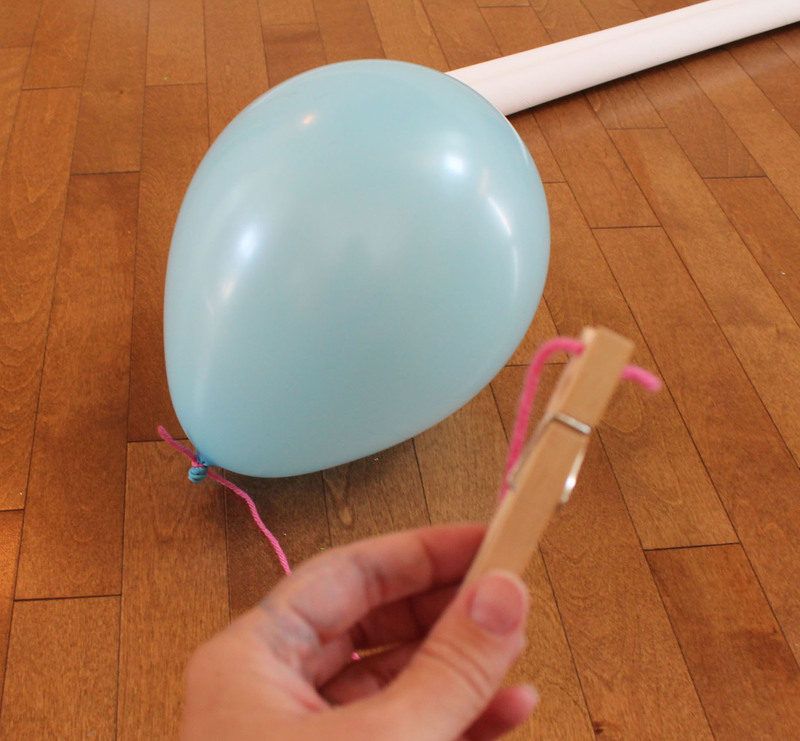 Tie a piece of yarn around the cellophane to attach to the tube/balloon. Time: It took me 45 minutes to paint 5 tubes (including 20 minutes drying time). The remaining steps probably took 5-10 minutes per lollipop on average. I saw these candy cupcake toppers and knew they would be perfect for Sophie’s Candyland party. They turned out really cute and were really easy to make! 1.) 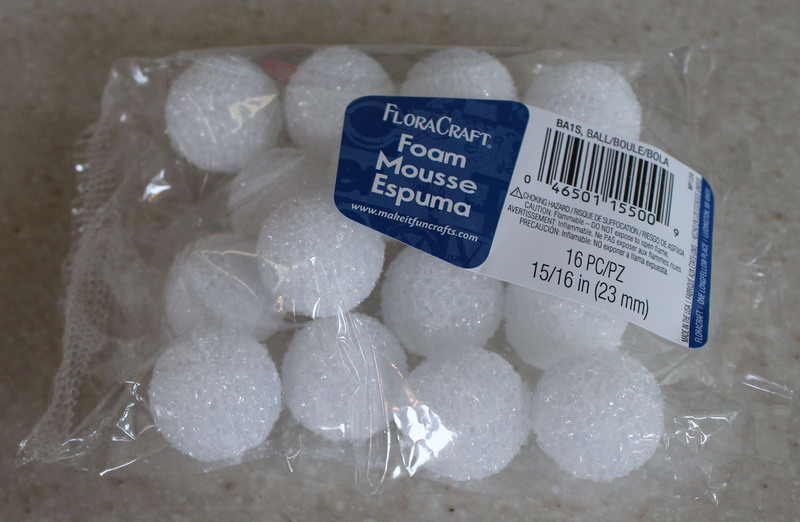 Small foam balls. I got mine at Michaels. 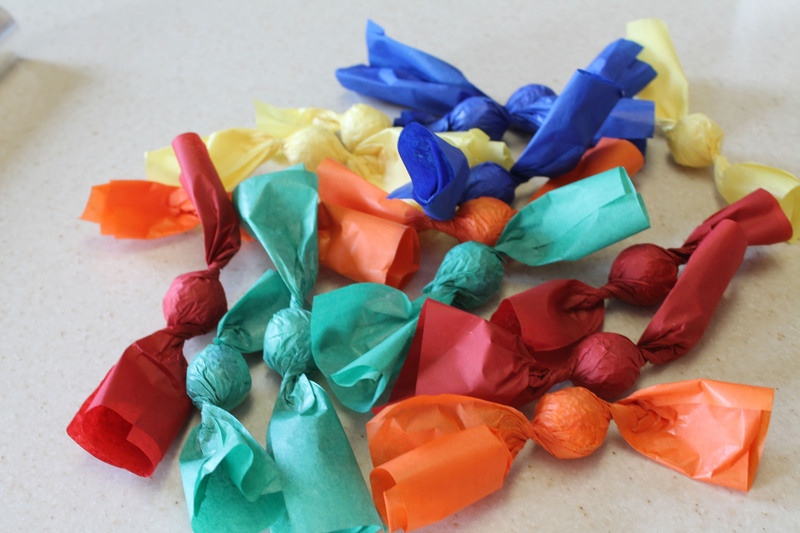 A bag of 16 balls, size 15/16″ cost $3.99. USE A COUPON to get 40% off! 1.) 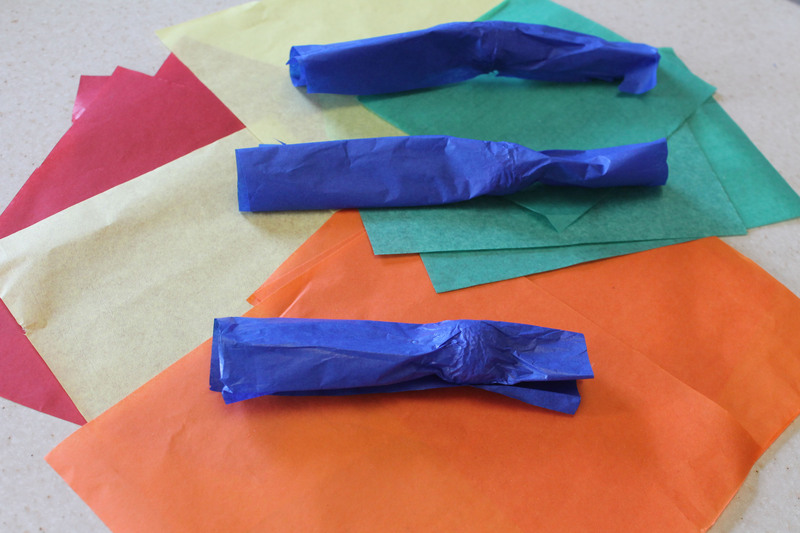 Cut small pieces of tissue paper. I used pieces about 4″x3″. 2.) 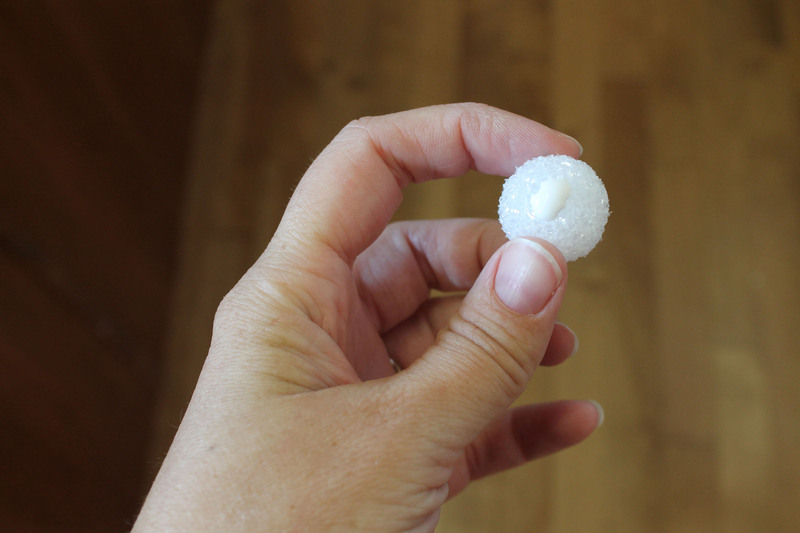 Place a dab of glue on a foam ball. 3.) 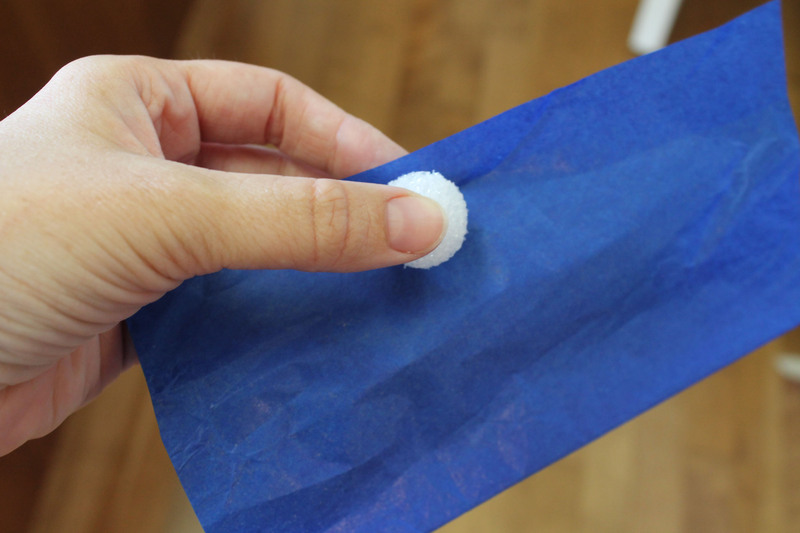 Roll the tissue paper around the ball. 4.) 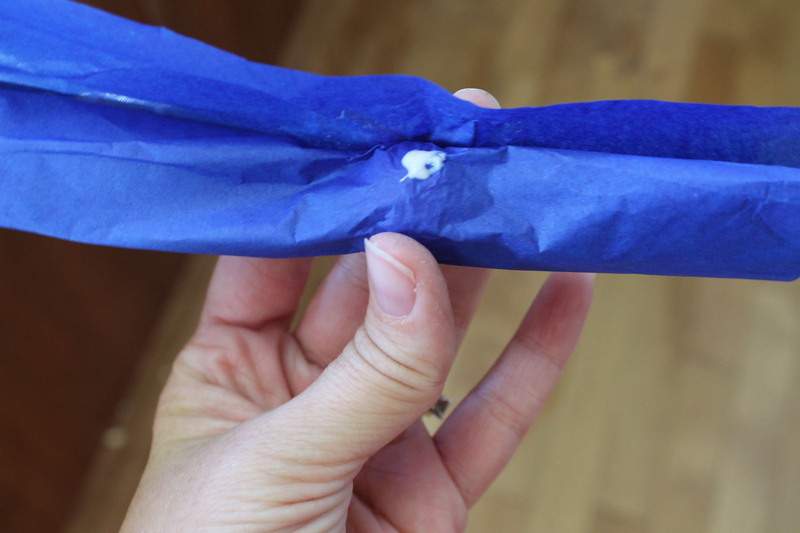 Secure the tissue paper with a second dab of glue. 5.) Allow the glue to try for a few minutes. 6.) Twist each end of the ball. 7.) 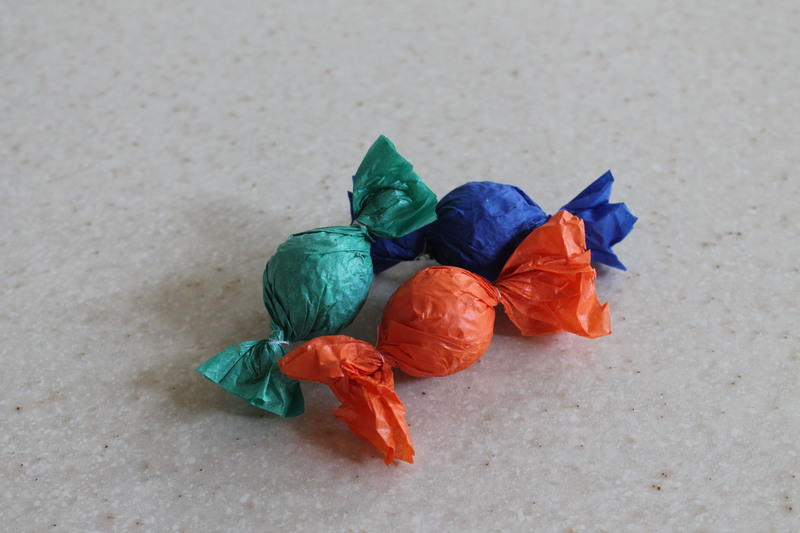 Trim the tissue paper down so it looks like a candy wrapper. 9) Insert a toothpick into the center of each ball. Substitutions: I did tie a few pieces with thread, but then I decided I was wasting time. Also, I didn’t put glue on the toothpicks. I just pushed them into the styrofoam ball. I felt they were secure enough! Time: One minute per ball.